Beautiful job, Kitty. Directional fabrics are always tricky, aren’t they? 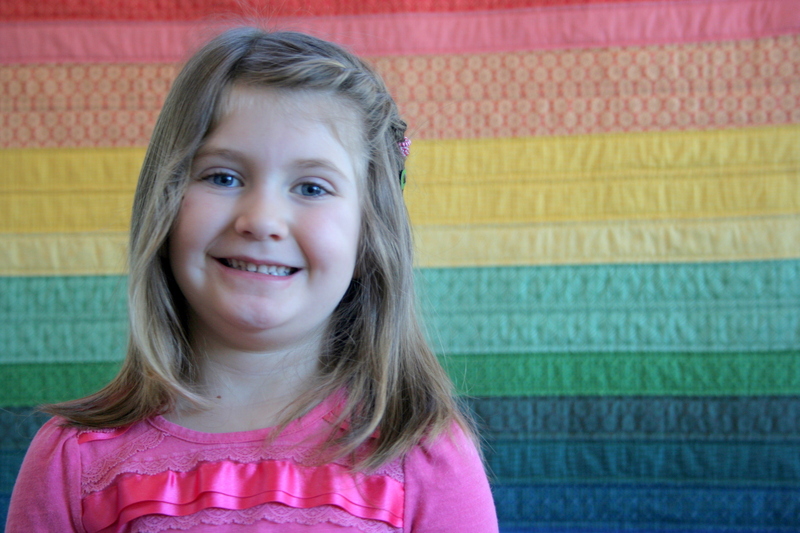 It was good to meet you in person at QuiltCon. 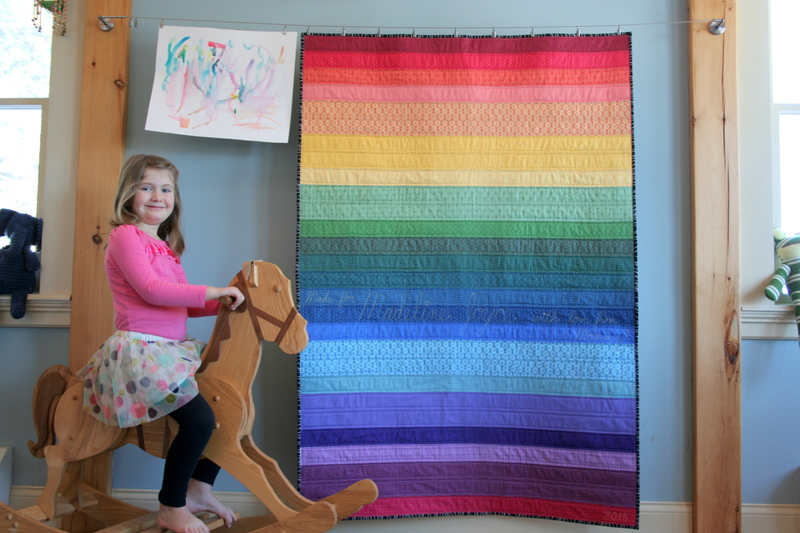 This is a great quilt, and you must feel extra-proud with how much love it is already getting! 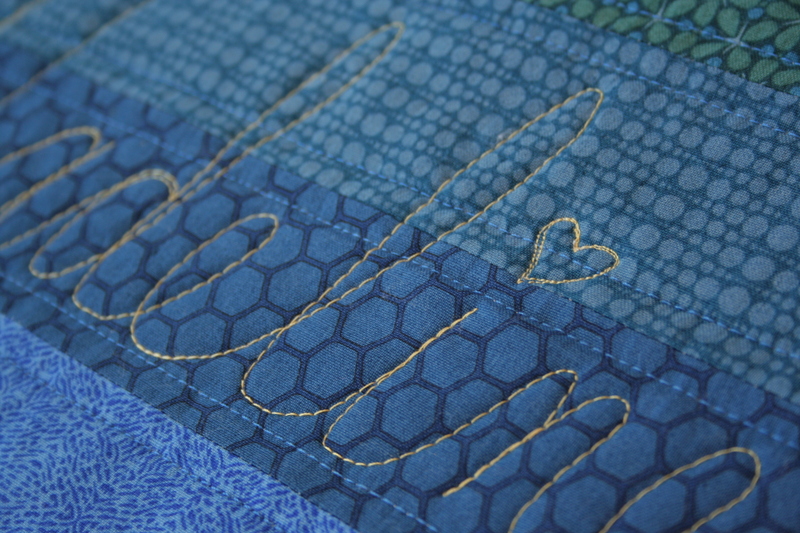 I love how you FMQ-ed the dedication into the quilt. 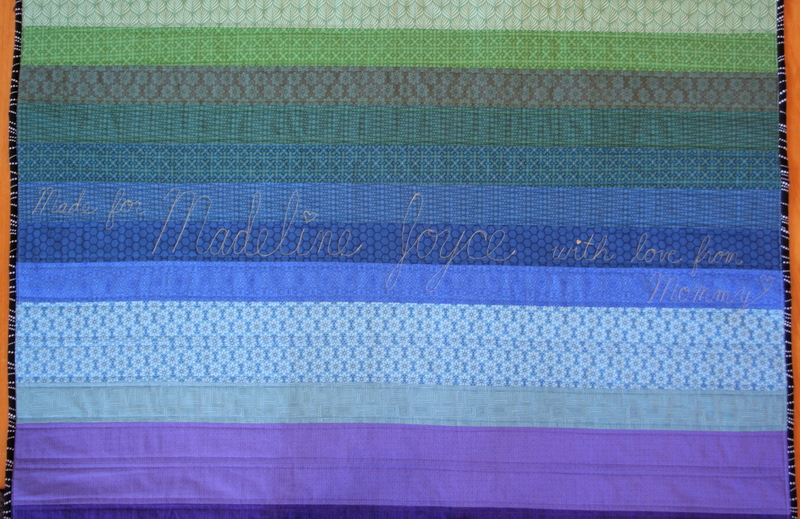 I always FMQ my name, and the recipient’s name into the quilt somewhere. 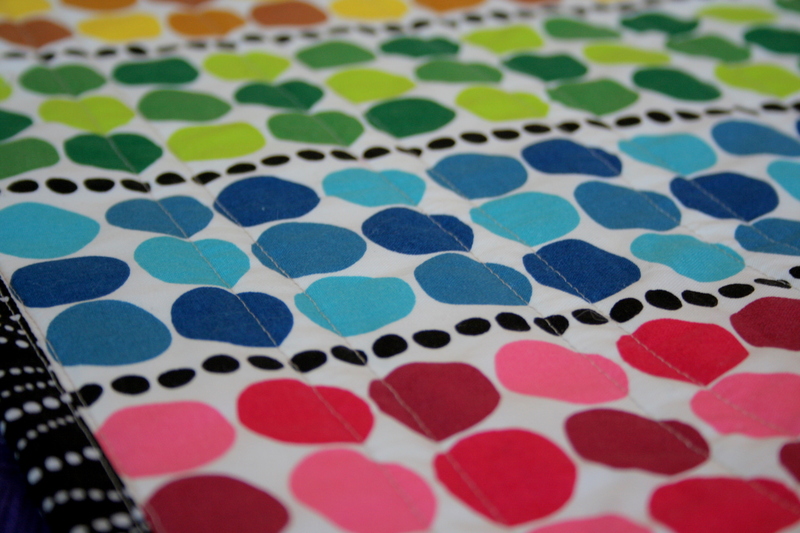 Jasmine at Quilt Kisses does a great tutorial on lining up backings. As for imperfections: read Angela Walters’ blog post (watch the video, like 5 min) and you will never say that again! What she says is very profound. Beautifully done! Looks like your little one loves it. It’s so rewarding when you make something they adore. Eeeeee it came out so well!! I love a good rainbow and this is a GREAT rainbow! 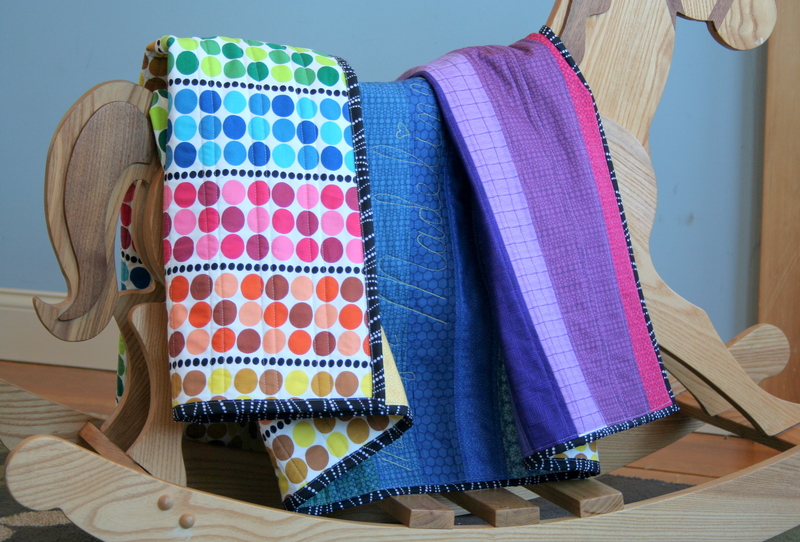 ^_^ The quilting is really special, as well. 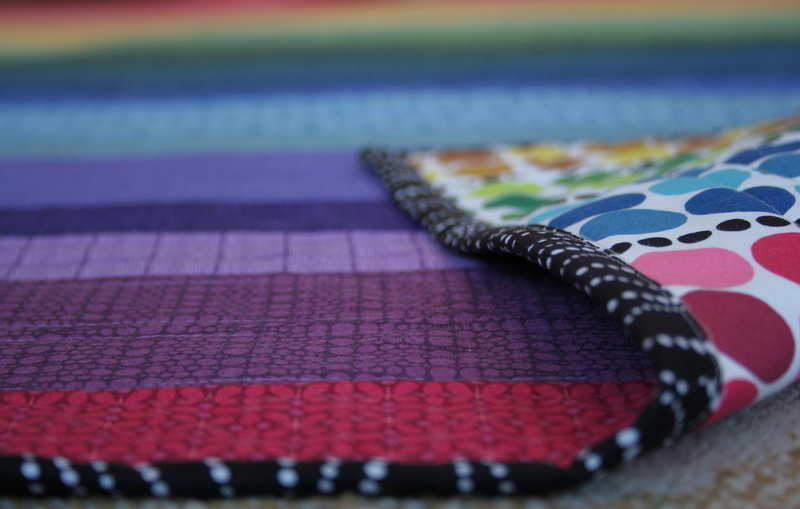 That backing fabric is perfect, and you are probably the only one who will ever notice it’s not perfectly lined up! Great finish Kitty! 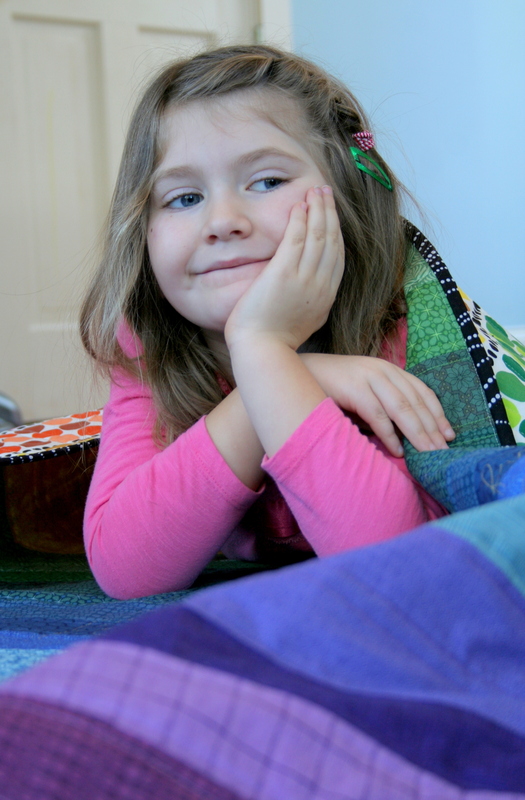 Your daughter looks like she is thrilled with her quilt. So…… Time to start one for your little guy now! Oh Kitty, that quilt is just GORGEOUS! Congrats! This is cute! I especially love the FMQ dedication! I’ll have to give this a try on one of my next quilts. Did you free hand it or did you mark it beforehand? 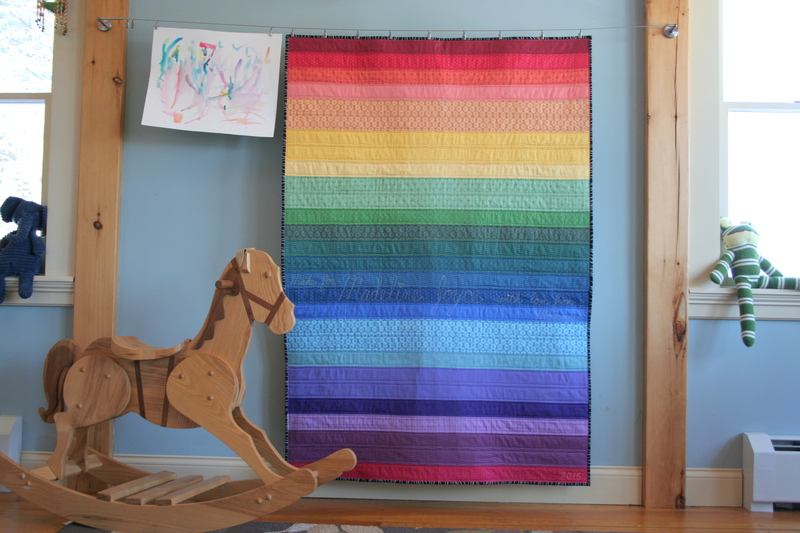 That is a beautiful quilt. 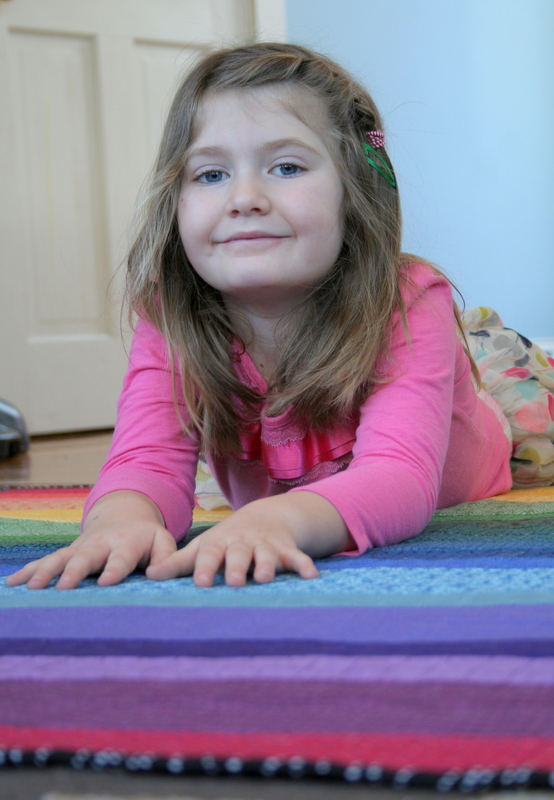 Nobody else notices what we notice about our own work, and the main thing is that Madeline loves it. DARLING pics or her! What a gorgeous rainbow! Even with the challenges, I think that back is the perfect print. Absolutely stunning!! Your backing fabric was perfect!! I love the color so much! I’m totally obsessed with the writing – I can’t believe how perfect it looks! I always avoid directional backings for that reason but really who’s going to notice but us? We’re our own worst critic. 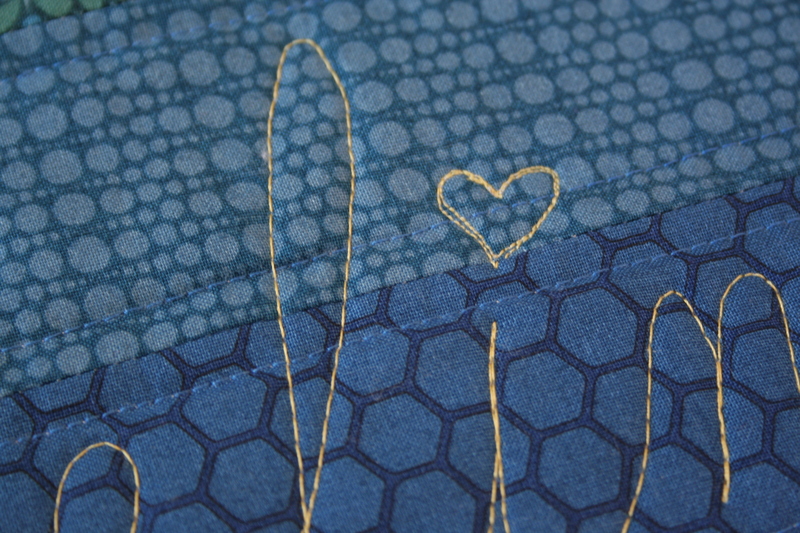 I’ve had the same headache with directional, linearly placed backings on customer quilts this week. Aaaghhhh! The agony. Your quilt looks so lovely. 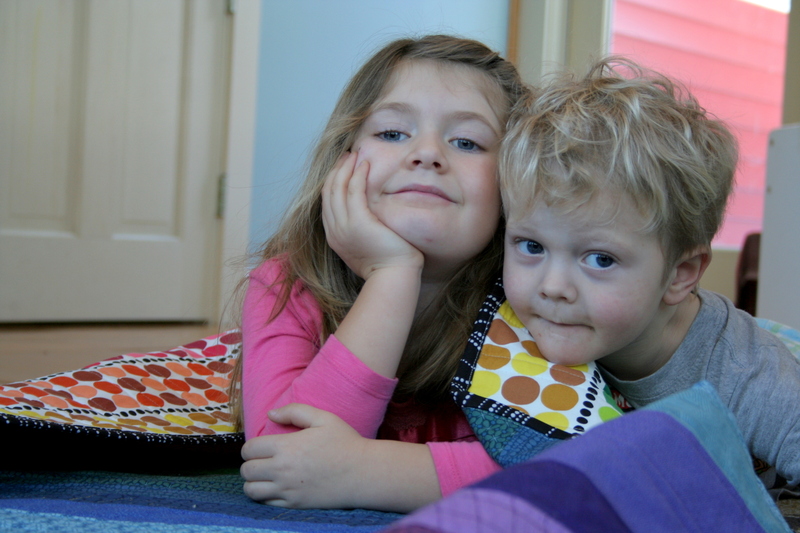 It is a forever quilt.